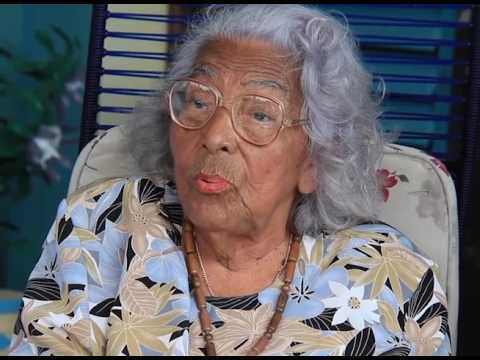 On Wednesday, December 12th, Belize lost a hard-working daughter, when Dr. Jane Ellen Usher passed away at the age of 101. Affectionately known nationwide as Miss Jane, she was the longest running Chief Executive Officer (CEO) in Belize and the region. 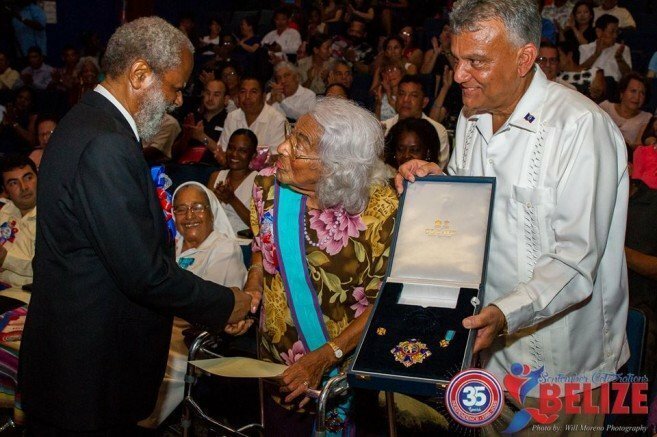 Usher, who was the older sister of Belize’s first Prime Minister, Right Honourable George Price, was the founder of the credit union movement in the country, and before December 2017, she worked daily at the Holy Redeemer Credit Union (HRCU) in Belize City as its CEO. Usher was born on September 5, 1917, in Belize City to parents William Cadle Price and Irene Cecelia Escalante. In 1942, she married the late Henry Charles Usher, a famous sportsman and credit union pioneer of his time, with whom she had 12 children. Two years later, the HRCU was opened, and she began working as a clerk. Usher climbed the ladder of ranks in the organization, and by 1956, she became the CEO. Her dedication to serving the community and the development of the credit union era in Belize saw her earning numerous awards and accolades, such as the Golden Eagle Award from the Belize Credit Union League. One of her greatest contributions was to have government introduce the legislation to establish a league for credit unions. Throughout her life, she also served in government, becoming the Cabinet Minister for Health and Cooperatives from 1979 to 1984. Also, Usher served as the president of the Senate from 1989 to 1993. At some point during her time in politics, Usher served as a member of the Opposition in the House of Representatives. Following the news of her death, the Leader of the Opposition, Honourable John Briceño and the People’s United Party (PUP) extended their condolences to her family. In an official statement, Briceño said that “her contribution to the development of this nation is unmatched. Miss Jane spent her life in the service of others, as a PUP Minister or as the head of beloved Holy Redeemer Credit Union, Miss Jane was about the people.” He commended her for her service of regular Belizeans, who through their small contributions, were able to build their homes, educate their children or bury their loved ones. “I am proud to be the leader of a Party that was beloved by Miss Jane,” the statement ended. During her birthday last year, Usher expressed how blessed she felt to have celebrated her 100th birthday. She described herself as a humble person and admitted that her job as CEO was stressful at times, but she was happy to have very good people around her that could carry on her legacy at HRCU, the largest credit union in the country and among the largest in the Caribbean region. Usher advised people to think positive and to avoid being around negative people and prophets of doom and gloom. As preparations for her funeral are underway, Usher will be remembered by the many Belizeans she touched and impressed with her overwhelming dedication and love for Belize. The San Pedro Sun extends its condolences to her family and friends.